Please use information on Skyward as a means of communication, learning, and growth. 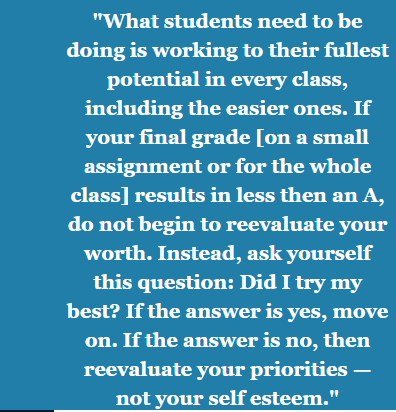 Grades do not reflect your self worth, nor do they directly reflect your intelligence. 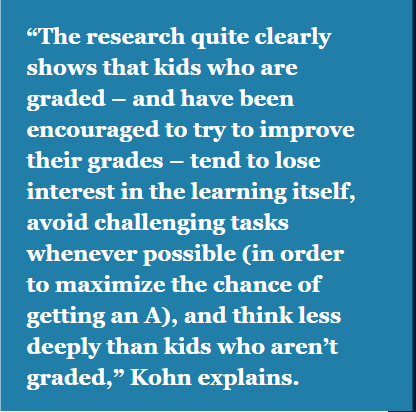 - Grades reflect what you understand or don't understand. Algebra is a whole new level of math for students and is usually the first time advanced students struggle in this subject. What is most important is how students react to the struggle. Do they give up and say they aren't smart enough OR do they come to class asking questions, get help from the teacher/friends, and do they complete extra practice problems.